A little more than a month since the 7.8 Richter scale earthquake shook Nepal leaving more than 8.500 dead, tens of thousands injured and over one hundred thousand displaced, the nation must brace for its next challenge - monsoon season. The rainy seasons traditionally arrives in June and lasts through September. International and local relief efforts area rushing to get essentials, shelter, food and medical supplies to remote areas before the rains commence. 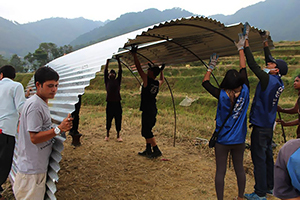 To respond to this critical need, #RiseNepal, a volunteer effort supported by the Global Peace Foundation and other members of the Asia Pacific Peace and Development Service Alliance, has launched the "Shelter of Hope" campaign to build 1,000 transitional shelters in remote areas. The 11.4 square meter shelters are designed to withstand the rainy season with materials that can be used later to build more permanent structures. The approximate cost of one shelter is $120. A page from the building manual of the semi-permanent structure. #RiseNepal volunteers have already begun construction in the village of Chaaimale, and hope to reach out into Baadbhanjyang. Volunteers work side by side with locals to ensure that residents are equipped with know-how and tools to upkeep their shelters. View more photos of the "Shelters of Hope" Campaign. 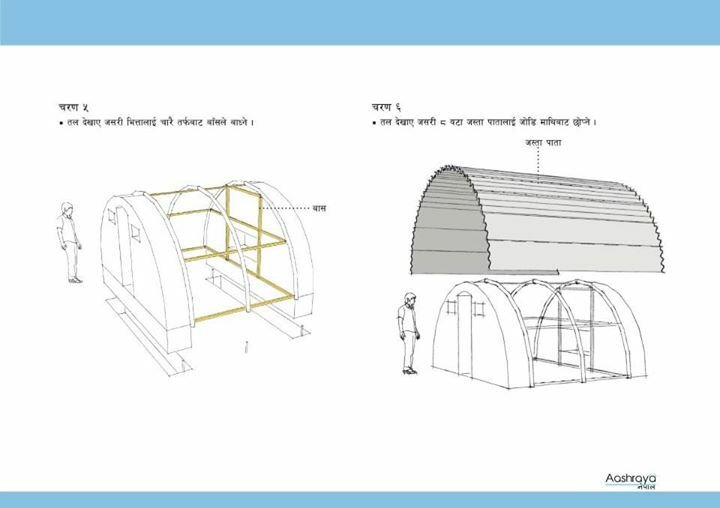 Help provide 1,000 shelters for Nepal before monsoon season. Donate today.